When the Bonn, Germany-based cruise operator Phoenix Reisen recently renovated Artania, one of the improvements was the complete overhaul of the ship’s dishwashing area. While the dishwashing function is largely hidden away from passengers, it offers a huge boost for the crew when it comes to maintaining hygiene standards. It also plays a vital role when ships are undergoing U.S. Public Health inspections. Passing scores are from 86 to a perfect 100. All ships calling in the U.S. are subject to inspection. 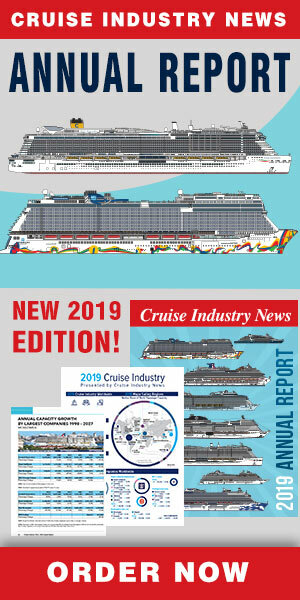 Installing new Meiko equipment, the dishwashing technology company said that it is seen as a premium provider of hygienic dishwashing technology which fit well with Phoenix Reisen being regarded as a premium cruise line. “The quality of our machines matches the high standards required on cruise lines, including the eco-friendly requirements of green ship technology," said Dominique Raverdy, marine sales manager for Meiko, who also noted that the industry's green ship concept dovetails perfectly with Meiko's energy concept which keeps thermal energy contained within the dishwashing process: "AIDA Cruises and Royal Caribbean have also chosen M-iQ technology for their latest generation of cruise liners." “Public health is the strictest inspection authority in the world when it comes to cruise liners," added Raverdy. He said he knows what he is talking about with Meiko making sure that thousands of plates, cups, glasses and pieces of cutlery are washed to perfectly hygienic standards to pass inspections. "Getting crew members with gastrointestinal illnesses to report immediately to the ship's medical staff is a question of discipline on board. But getting dishware and cutlery hygienically clean is a whole different matter, and it's something we feel responsible for as a manufacturer of commercial dishwashing technology," Raverdy said. Added Dietmar Zapf, who heads up global business key accounts at Meiko: "Ships are determined to avoid not just the worst case scenario of a ship being grounded, but also just getting a warning. That's because the results are published together with the action taken to remedy any problems. That information is accessible to anyone on the Internet and obviously has the potential to significantly damage the shipping line's reputation." Zapf emphasized that Meiko's new technology uses the lowest levels of energy, water and chemicals in the company's history. "Less really is more! By cutting down the amount of water our machines use we also save on energy, detergent and rinse aid. Water, in particular, is a valuable resource aboard ships because it's not an easy matter to procure and process it. And of course you have to remember that the less fresh water you use, the less waste water you produce. That's where our strategy dovetails perfectly with the 'Save the Waves' principles of Royal Caribbean, for example. And as a partner and supplier to the industry we follow the watchwords of 'reduce, reuse, recycle,’" Zapf said. According to Meiko, every machine is individually tailored to the ship it is built for. The CC Touch electronic control panel provides an intuitive means of controlling all the dishwashing processes – which can be a lifesaver when you have a crew that speaks multiple languages! Meiko's CC Insight expansion module, which is used by AIDA’s new ships and by other customers, makes it easy to store and display all system-relevant data, functions and operating processes. This software add-on also lets the crew perform analyses, diagnostics and parameter modifications from a central on-board control system, providing an extra safety net for dealing with the world's strictest hygiene inspectors.